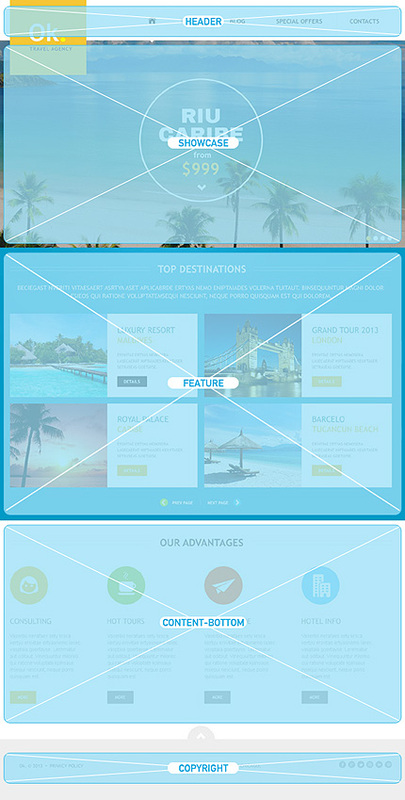 The choice of colors gives a strong look to this designs specifically tailored for travel agency websites. Light blue color on the background is associated with the ocean and gives the cool feeling to the layout. 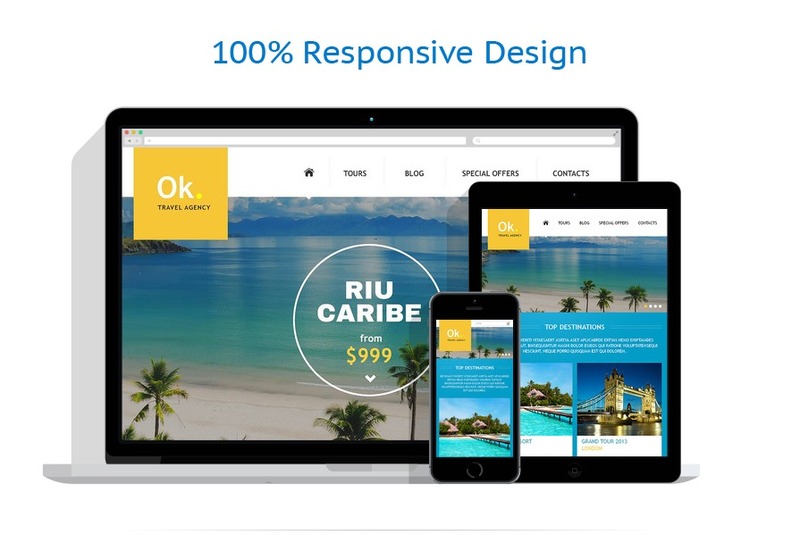 The full-width slider with inspiring images from portfolio welcomes the visitors to order the tours immediately. The wise structure of Special Offers page allows to showcase all the variety of tours the agency offers. The blog section is good for keeping up with the clients and sharing the latest news with them.